You can tailor the number of units to your needs as your situation changes throughout the year. This allows you to optimize your building while keeping your costs to a minimum. 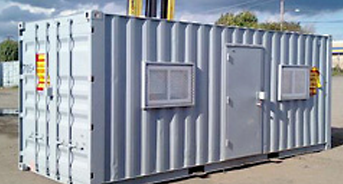 There are situations that simply require extra storage space on a permanent basis in order to operate efficiently and profitably. We would be happy to meet with you at your location to discuss a quick, easy and cost effective solution to your storage needs.